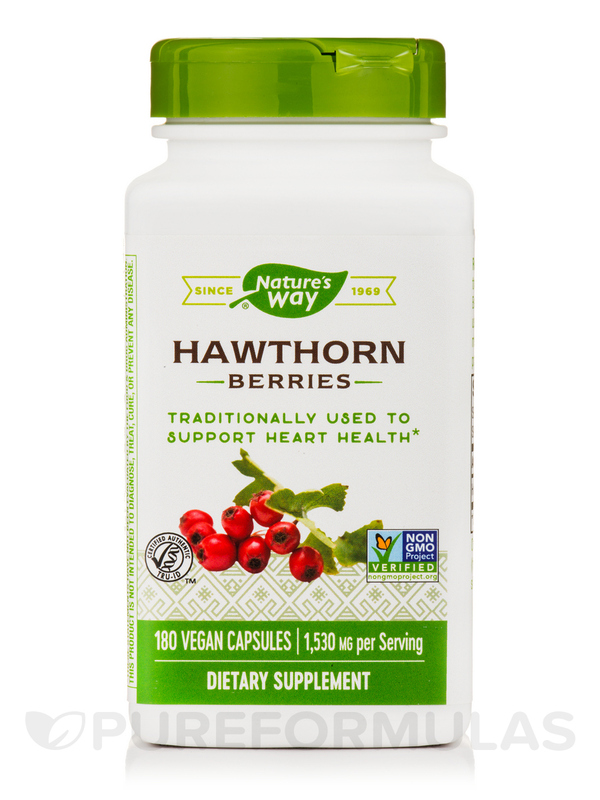 Avail all-round health benefits and boost your cardiovascular health with Hawthorn Berries - 180 VCaps® from Nature’s Way®. Hawthorn or Crataegus oxyacantha appears to have immense benefits for the heart and may prevent a host of heart-related conditions. Boosting circulatory system health‚ hawthorn berry appears to strengthen the heart. 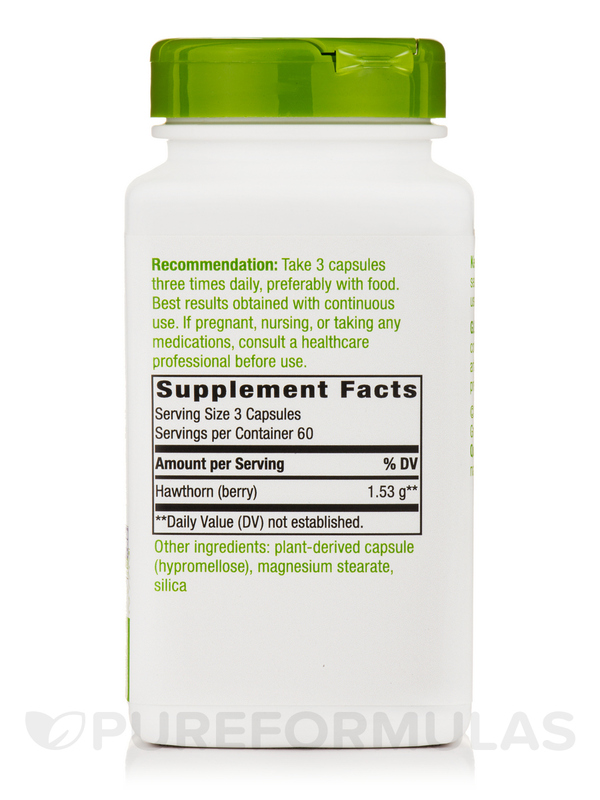 Early stages of heart conditions may improve tremendously with the intake of hawthorn berry supplements. The antioxidant properties of this herbal extract may scavenge free radicals‚ thus damaging compounds in the body that may adversely affect cell membranes or alter DNA. 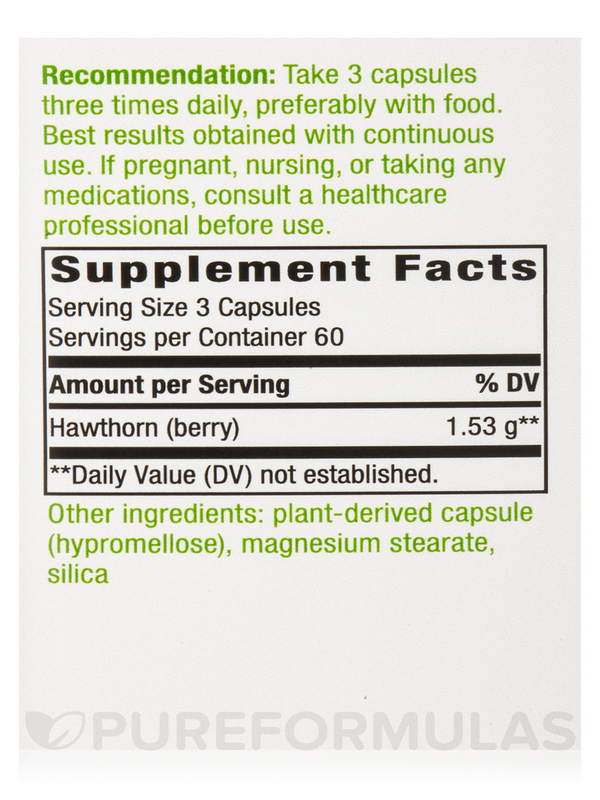 Hawthorn berry in this supplement from Nature’s Way® may improve blood flow to the heart and prevent chest pain. 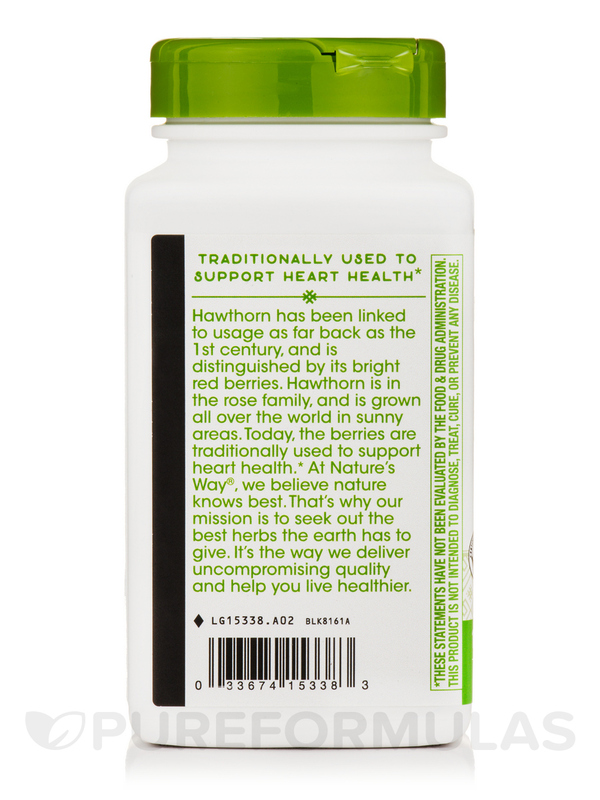 With a tonifying effect on the vascular system and heart‚ hawthorn may keep conditions related to blood vessels at bay. 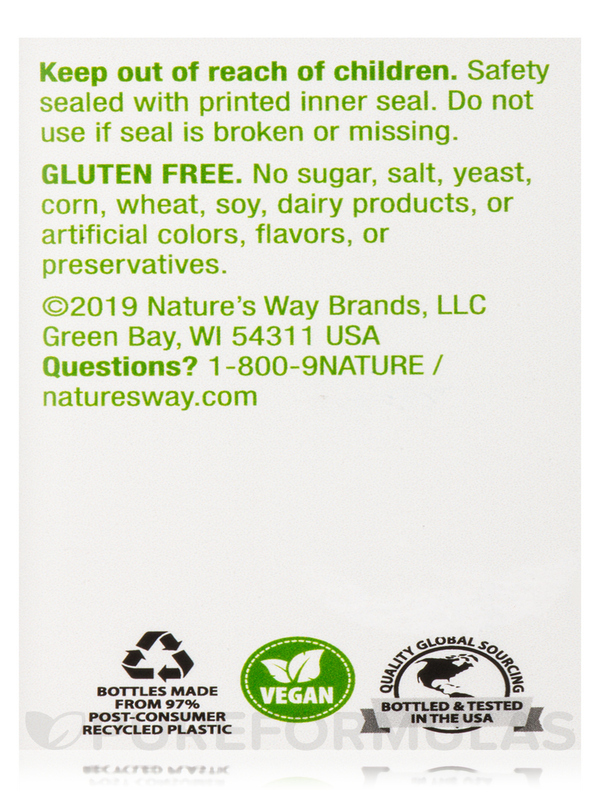 Preserve a heart healthy lifestyle and carry out your everyday activities without any discomfort when you take Hawthorn Berries - 180 VCaps® from Nature’s Way®. 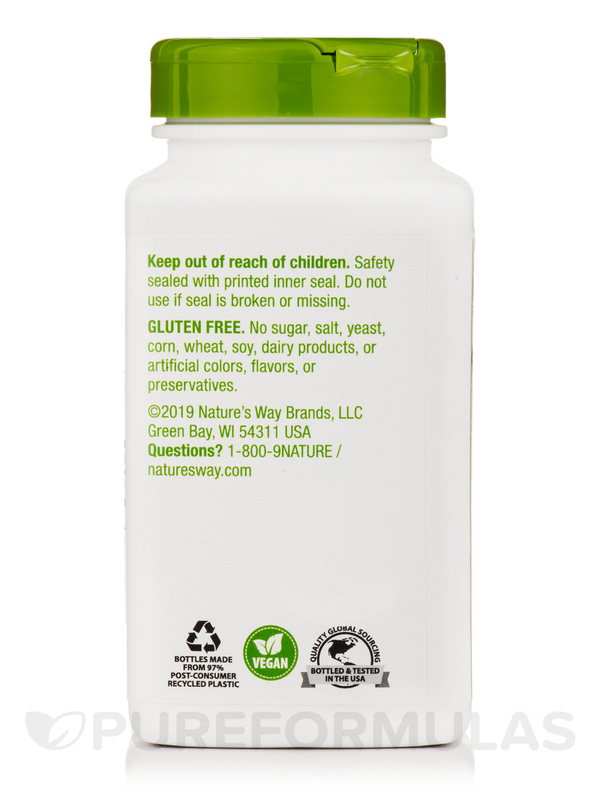 Other Ingredients: Plant-derived capsule‚ Magnesium stearate‚ Silica. Take 3 capsules three times daily‚ preferably with food. Best results are obtained with continuous use. I use this Hawthorn Berries by Nature's Way to help my enlarged heart. Works great. I normally buy it from local health food store. I seen the price on PureFormulas' web site and couldn't pass it up. Add the free, quick delivery to my door. It was a win/win for me!